Everyone has an opinion on how to parent. Here are five important questions all moms should ask themselves to make sure they’re following the right advice for their family. In our early days and months as parents, we rely heavily on the advice of experts and those who came before us. We’re exhausted and overwhelmed, most of us have no idea what we’re doing, and we would like to believe that loved ones, friends, and doctors wouldn’t point us in the wrong direction. And they don’t. Well, not knowingly anyway. I went into parenthood not knowing how to do much of anything. My degree in human development didn’t prepare me for the practical, diaper-changing, baby-burping, breastfeeding parts of motherhood, unfortunately. I was kind of a hot mess at first, to be honest. However, my studies did at least familiarize me with research in child development. 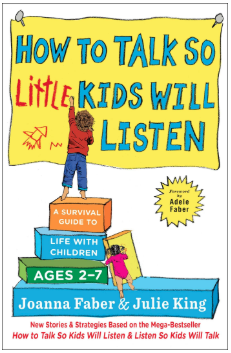 It gave me the confidence I needed to explain (and sometimes defend) my choices and perhaps most importantly, it gave me a framework of understanding that I could use to critically evaluate all the parenting advice I was given. Parenting advice that comes from a less-than-ideal source isn’t necessarily bad advice, just advice you should question. And similarly, advice that comes from a credible source shouldn’t be taken as gospel, either. So where is your information coming from? Some of the best parenting advice I have received has come from other moms who have gone through what I happen to be struggling with. This was especially true when it came to breastfeeding, dealing with my daughter’s tongue-tie and dairy intolerance, overcoming sleep regressions and taming tantrums. These kinds of issues are fresh in the minds of other moms like you, so they’re usually a great resource and sounding board. Don’t discount someone just because they’re not a doctor! As great as other moms can be for getting advice, there are still a few things you should ask yourself: Like how well do you know this mom? Our lifestyle and beliefs heavily influence the kind of parenting advice we give to others, so it is good to have a basic idea of what influences the person giving you direction. 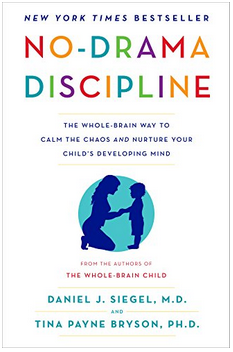 How does this mom approach things like discipline or health? Does she actually have recent, first-hand experience with the issue you’re dealing with? Has she given good advice in the past? My mom is probably reading this right now (Hi Mom! ), so I hope she’s not offended when I admit that as much as I love her, she isn’t always the first person I turn to for certain types of mom advice. And the reason for that actually has nothing to do with her and more to do with time. My mom has been a mom for a long time, which means it’s been a long time since she’s had to deal with breastfeeding or installing car seats. Things like safety recommendations, for example, have changed a lot since I was a baby, and my mom simply hasn’t had a reason to keep up with the research over the years (that is, until her recent promotion to grandma!). 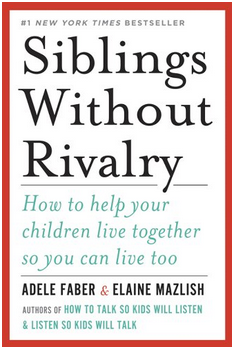 Furthermore, generational differences in parenting approaches can sometimes be a source of conflict. The parenting philosophy of older generations doesn’t tend to emphasize things like attachment and gentle discipline, which is something to keep in mind if this approach is important to you. A loving, trusted older relative may insist that it’s in your baby’s best interest to cry herself to sleep every night, but this love and trust—even decades of experience being a mom—isn’t always a reliable indication that the advice ought to be followed. At the same time, don’t completely discount the wisdom that comes with age, either. Mothers don’t become grandmas knowing nothing! Ah, Dr. Google, we meet again! First off, let me say this: Google is a search engine. Search engines bring you to sources—they are NOT sources themselves! When a doctor doesn’t know an answer to something, do you think he or she hops in the car, drives to the local medical library, and dusts off a hefty tome in pursuit of knowledge? No. They use the internet. Because PubMed and other reliable sources live on the internet. 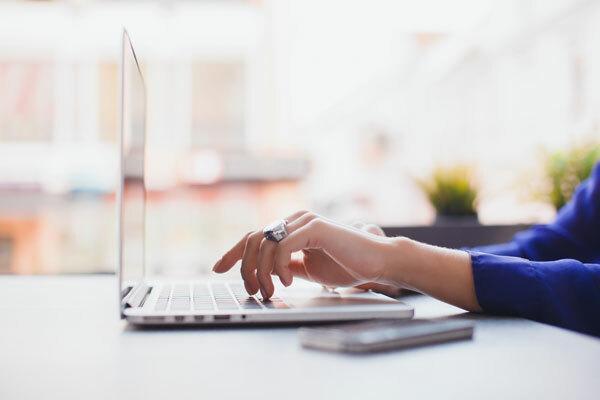 The key to evaluating parenting advice you get from websites is to determine if the person, professional, or organization behind the website is reputable and demonstrates a reasonable amount of verifiable knowledge on the topic they’re addressing. If the answer is yes, don’t let yourself be bullied by people who will mock you for “trusting Dr. Google!” The internet can be a great place to educate yourself on a topic well enough to know the right kinds of questions to take elsewhere, and it can be useful to determine if the info you’re getting from others is reliable. When wielded effectively and appropriately, the internet is an extremely valuable tool for moms. Doctors and healthcare professionals are awesome at identifying and treating illness, but not always awesome at promoting health. 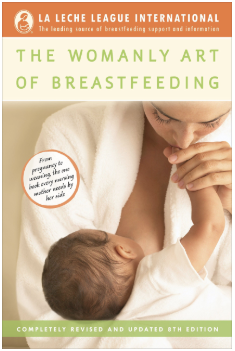 Pediatricians, for example, are not lactation experts and often give breastfeeding advice that is flat-out wrong. Most aren’t trained to properly evaluate tongue-ties and many don’t keep up with the American Academy of Pediatrics’ recommendation changes. This is NOT to say you shouldn’t trust medicine or science or that pediatricians are awful. I am saying, however, that doctors are people and people make mistakes. Like the endocrinologist who misdiagnosed my type 1 diabetes and could have killed me. Or the pediatrician who told me my daughter didn’t have a tongue tie. As someone with a serious chronic illness most doctors and nurses don’t fully understand, I’m unfortunately all too familiar with the reality that not every healthcare professional is created equal. Trust your doctors cautiously. Make sure the professional you’re speaking to is qualified and knowledgeable about the advice they’re giving. Car seat advice is best obtained from a CPST, breastfeeding advice from an IBCLC, and so on. 2) DOES YOUR SOURCE CITE SOURCES? Another good way to evaluate the quality of the parenting advice you’re receiving is the sources they cite. Are they reputable? How many can they provide? Be wary of advice that is only supported by personal experience or the experience of “a friend of a friend.” And be especially wary of advice-givers that don’t cite any sources whatsoever or who say they have sources but won’t share them. Advice without evidential support is opinion, which is probably of limited use to you. 3) DOES THE ADVICE ECHO THINGS YOU’VE HEARD BEFORE OR MAKE INTUITIVE SENSE? About three weeks after my daughter was born, her stool changed. It didn’t look like how I’d heard the stool of a breastfed baby should look. I brought this up to some relatives and was told not to worry: it was normal. I asked a mom friend: she said it was normal. I even asked my pediatrician: normal. This didn’t make sense to me. I didn’t think these changes could be caused by nothing. It was my first red flag, but I trusted my relatives, friends, and doctors. It wasn’t until I noticed blood in my baby’s diaper 5 months later that I realized I should have listened to my intuition. I joined some mom groups on Facebook and asked questions. They told me what no one else would: Dairy intolerance. That actually made sense. And when I did my own research, everything I read echoed what the moms in my group had said. Needless to say, we got a new pediatrician and treated the intolerance. In other words: If advice you’re getting doesn’t make intuitive sense or doesn’t mesh with what you know or have heard to be true, get a second opinion. 4) WHAT IS YOUR PARENTING PHILOSOPHY? Bias is part of the human condition. Everyone has it. So as you’re critically evaluating parenting advice you’re given, think about your parenting philosophy. Where do you stand on positive/gentle vs. mainstream discipline? What do you think about holistic/natural approaches vs. mainstream medicine? How important to you is breastfeeding? And so on. 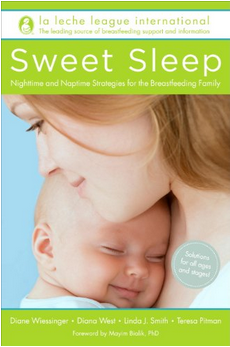 Does the sleep advice you’re getting from a baby sleep expert, for example, mesh with your views on fostering secure attachment? If not, don’t worry about ignoring the “expert’s” advice. Chances are good there are other experts just as reputable who will have solutions for you that don’t go against your values. 5) ARE YOU TRUSTING YOURSELF TOO MUCH? Confirmation Bias: If the last election (or any election, for that matter) taught us anything, it’s that we all like to hear from people who agree with us. Research has shown that people have a strong tendency to search for, remember, and favor evidence that they already agree with. We are quick to doubt or flat-out reject information that goes against what we already believe, even in the face of clear and strong evidence that what we believe isn’t accurate! Cognitive Dissonance: We all want to believe that we are doing what is best for our children, so when confronted with evidence that a decision we made has been proven harmful in some way, we are likely to reject that evidence, justify our decision, or both. This is an easy way to eliminate the psychological stress caused by the notion that a “good” mom (me or you) did something a “bad” mom would do. The inconsistency makes us uncomfortable. And it’s much easier to reject it than accept that we may have made a mistake. So what can we do about these two things? They’re normal and natural, so it’s going to be hard to eliminate them completely. But we can mitigate their impact by being open to advice from others and open to different parenting approaches, at least at first while we are still figuring out how we will parent. What?? Did I just spend a whole article telling you to be wary of advice from others and then go on to say you should listen to people who disagree with you?? Because if I have learned anything in my relatively short time on Earth, it’s that people think highly of themselves and don’t like to be wrong. And with that bias in place, one of the best ways to test the truth of your beliefs is to question hardest the things you most readily accept and be open to positions you instinctually reject. You may not end up changing your mind, but you will almost certainly learn a thing or two more than you would have otherwise! 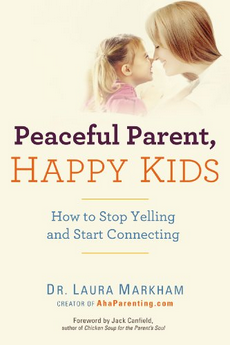 Have you ever gotten parenting advice that you just weren’t sure about? How did you decide what to do with it? P.S. DISCLOSURE: This post contains affiliate links, meaning I will receive a small commission on products purchased through these links at no extra cost to you. Rest assured, I only endorse products and brands I use, trust, and would recommend to a friend! Please see my FAQs and disclosure policy for more information. Thank you for your support!